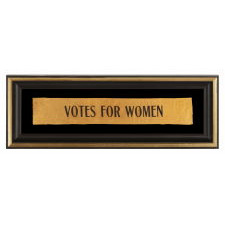 Frame Size (H x L): 10.5" x 29.5"
Flag Size (H x L): 3.25" x 20.25"
Suffragette ribbon, made of cheddar yellow silk, with narrow, slightly stylized lettering that reads "Votes for Women." The most desirable feature about this example is its large scale, which is both scarce and makes for a prominent display. 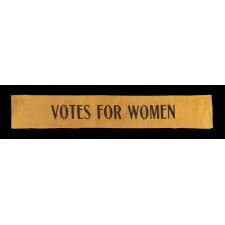 Ribbon of this sort could be worn in various fashions, as hatbands, armbands, and is sometimes seen pinned to suffragettes diagonally across the breast, in sash-like fashion. It could also be worn around the waist with additional length. Yellow was the customary color of the suffrage movement in America, coupled with a variety of subordinate colors, primarily black. Violet and green were the traditional colors of the women's movement in England, though these, as well as a variety of other colors, can also be encountered in the States. Mounting: The ribbon was mounted and framed within our own conservation department, which is led by expert staff. We take great care in the mounting and preservation of flags and related textiles and have framed thousands of examples. The background is 100% cotton twill, black in color. 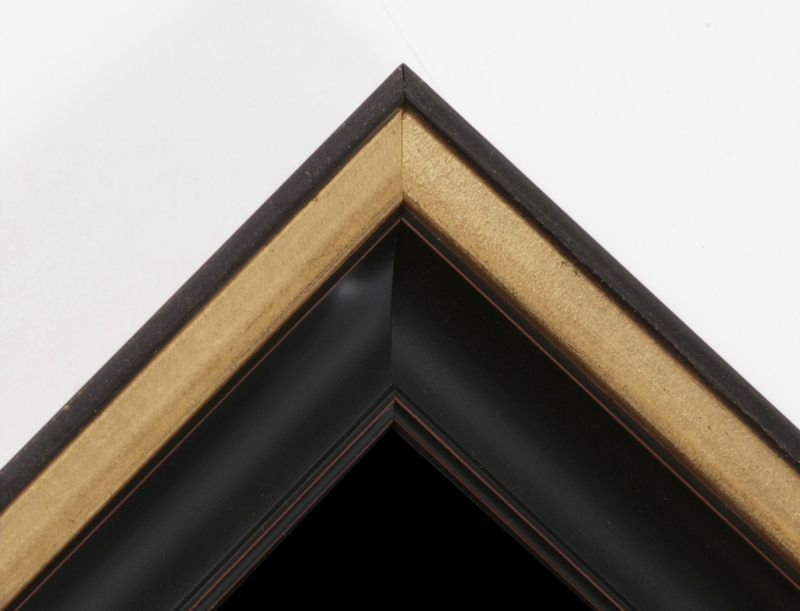 The 2-part frame includes a cove-shaped molding that is very dark brown, nearly black in color, with reddish overtones and highlights, to which a black-painted and hand-gilded Italian molding was added as a cap. 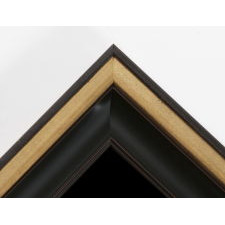 The glazing is U.V. protective acrylic. Feel free to contact us for more details. Condition: There are numerous splits in the silk fabric, some of which are accompanied by minor losses. Fabric of similar coloration was placed behind the textile during the mounting process for masking purposes. Many of my clients prefer early patriotic and political textiles to show their age and history of use.